Posted on March 14, 2017 - 02:30 AM by Your Toledo Bend Express Team! 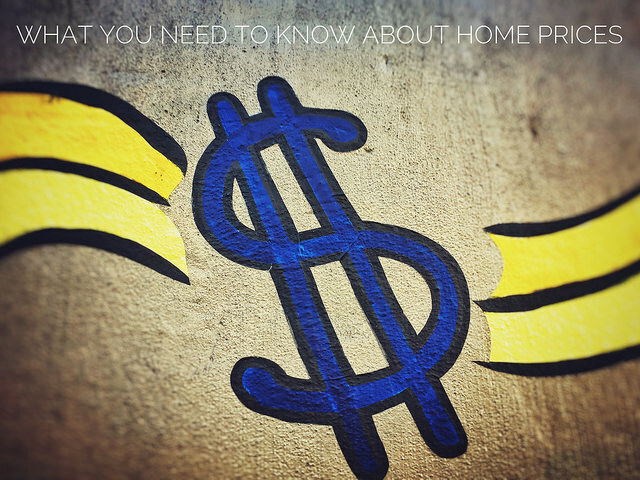 Whether you're looking to buy a home or you're ready to sell one, home prices are likely a topic of great interest to you. For this reason, a couple of new reports deserve a closer look. First, ATTOM Data Solutions just released their U.S. Home Sales Report for the third quarter. Among the results, the data shows that the median home price has now surpassed its pre-recession peak and is at an all-time high. In fact, the median price in the third quarter hit $230,000 – which is 1 percent higher than its previous peak of $227,000 in 2005. But though that sounds like bad news for buyers, there may be more to the story. That's because another recent report shows that – though home prices continue to rise – so does the number of price reductions. That means, more sellers are adjusting their price after originally listing their house. Whether that's because they just priced it too high to begin with or are in markets where prices may have peaked is debatable. However, 70 of the largest 100 metropolitan areas saw an increase in price reductions. Of course, home price trends can vary from one location to the next. For example, ATTOM's chief economist, Darren Blomquist, points out that, while prices have hit new peaks in some markets, there are also still markets where there are a high number of distressed properties and opportunities for buyers looking for a bargain. More here.